Mint Hair Crafting has been my passion project for nearly 8 years but we’ve been open just 2.5 years. I daydreamed of opening a salon for years because I love passionate hairdressers so much! I read books, asked my peers that I looked up to for guidance, and listened to so.many.podcasts. That period of time I now see was my research and development phase. I learned a lot, but the real learning happens when you’re fully in it. When you’re in your business for 16 hours a day because you’re learning how to do month-end inventory counts and your washer and dryer go out. Hahahaha. The struggle can be SO real. I actually had no clue what opening, running, and LEADING a business would look or feel like. 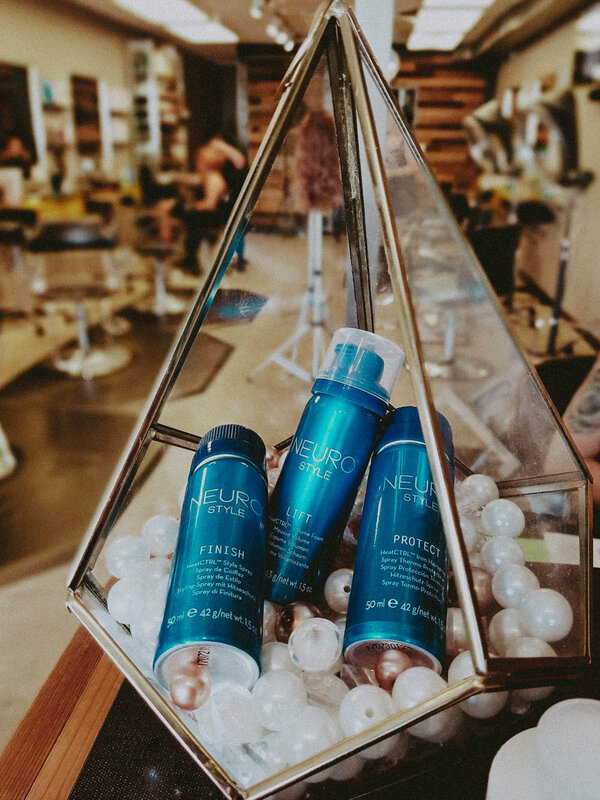 Having a community of hairdressers and supportive salon owners around me has been incredible, because at the end of the day, we’re in this together. First month open, I invested in coaching. I needed guidance (who gave me the keys?!). I needed accountability. I found Nina Kovner of Passion Squared in 2014 and her work really spoke to me. She shares branding, social media, and ton of self-awareness. I’m so grateful to have had her coaching early into owning a business. We would not have the growth and success we have today without it. Claim your social pages. Keep them current and do an audit of the information you have. Is it relevant? What about your website? View it on a phone (THIS IS WHERE MORE SEARCHES ARE DONE THAN ANY OTHER DEVICE), tablet, and desktop. Is your site easy to navigate? No? Hire a pro. Are all the links for your pages live? Think how a guest who wants to do business with you might think - are you easy to contact? Yelp, Google Business, Facebook Business Page, and Instagram (make sure you have a business profile - there are features you need to use like insights, click to contact, and a URL link)--manage them. Acknowledge all reviews... yep, even the biased, unfair 1-star review. It shows you care and you listen. And isn’t that what we all really want - someone to care and listen? Host and use online booking. In the 15 months we’ve had online booking, over 600 reservations have been made for my 5 stylist team - almost all of them while we’re closed, late at night while someone was scrolling their Insta feed. These are only a few of the nuggets of wisdom Passion Squared coaching has shared with me but they’re actionable and easy. Open a browser tab and Google your business - do you like what you see? Does it speak to your audience? You can find me on IG @staceyrackhair and @minthaircrafting - slide into my DM’s if you need some love and absolutely follow @passionsquared. Nina and her team are awesome.